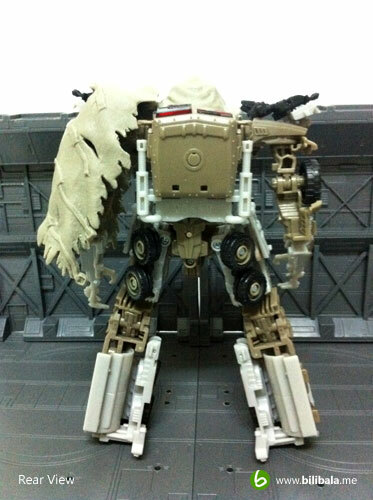 I guess every Transformers toys movie fan is anxiously waiting for the 16th May Transformers:Dark of the Moon toy launching. Well, shouldn’t be too long as there’s another half a month to go anyhow. 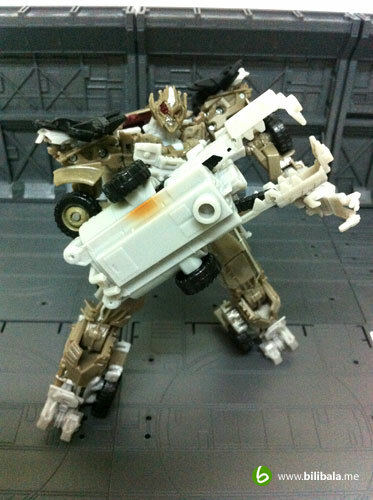 But before that, let’s just quench your thirst with some more sneaks on the Transformers:Dark of the Moon toys here. 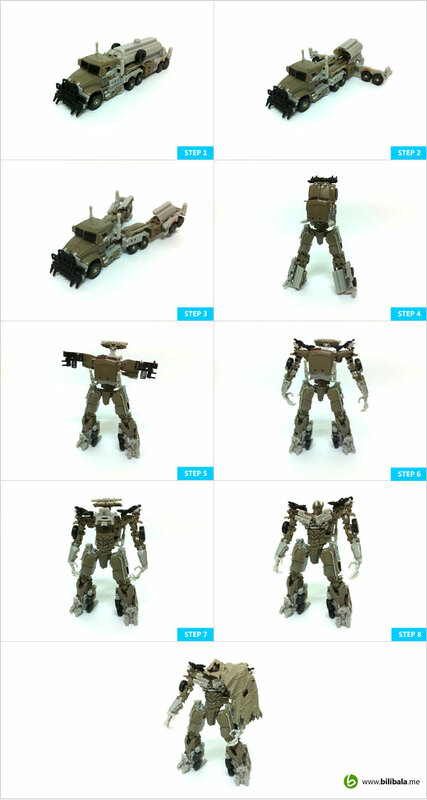 After Skyhammer, which i have done earlier here, this is my 2nd piece of early Dark of the Moon toy collection and it is none other than the vicious Megatron! 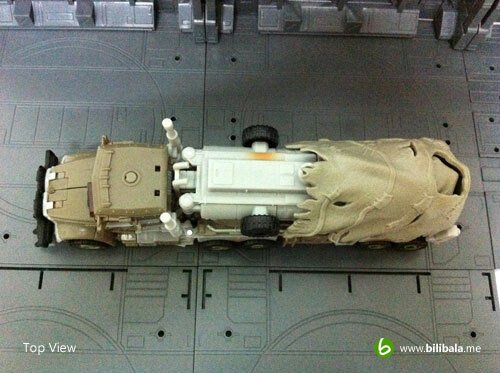 This time, he makes a comeback with a voyager truck to match with the Optimus Prime! 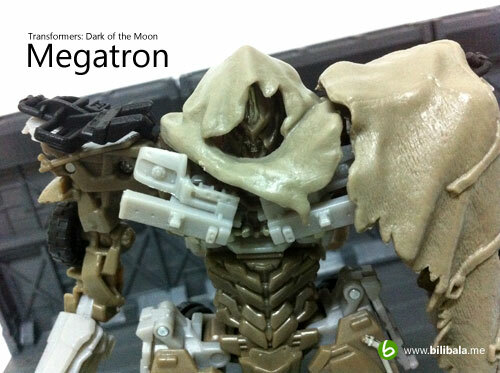 This is actually 1 of my very few piece of Megatron collection which i can count out: the animated leader Megatron, Transformers Generation Megatron, the Transformers Alternity Megatron and this one, the Dark of the Moon Megatron. 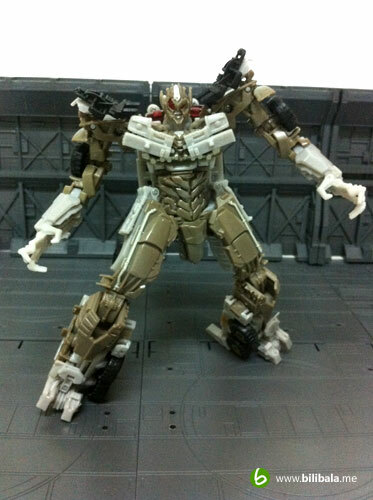 I don’t actually collect much of Megatron as i am not quite fond of him anyhow. 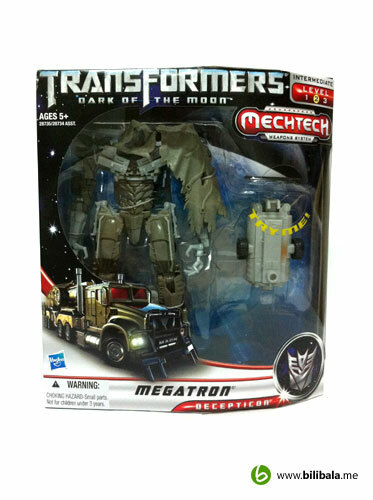 But this particular Dark of the Moon Megatron does spark up my strong interest in him. 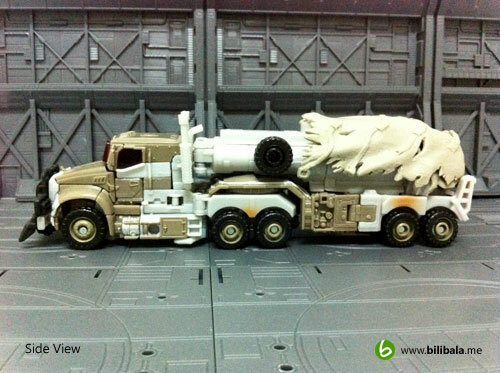 Firstly, this is the 1st time seeing Megatron in a truck form with a trailer. 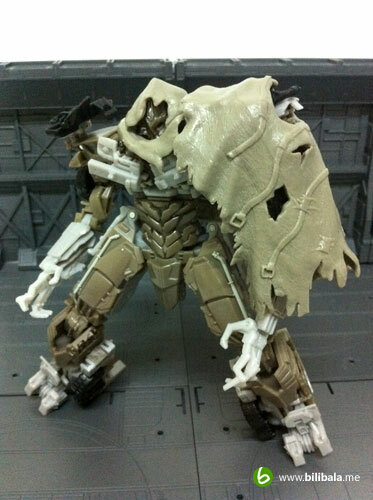 Secondly, the design of the robot mode is quite unique with a cloak (soft rubber) covering the robot mode and also this is first time ever i saw it in all my Transformers collection. 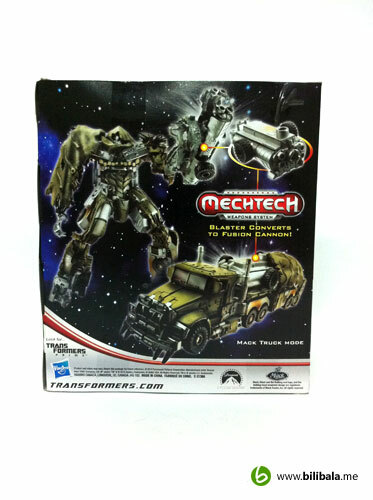 I guess this is the final packaging for all the upcoming Dark of the Moon voyager toys. All boxes come with the “Try Me” sneak hole for you to try out the new Mechtech. An ingenious way to promote their MechTech feature. 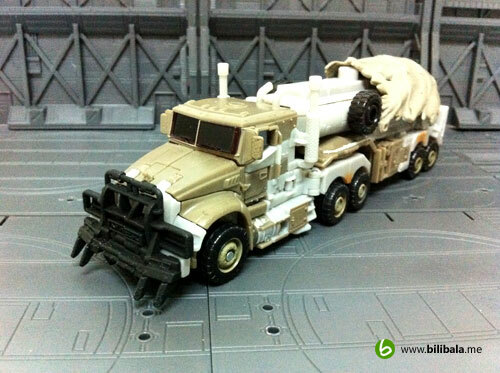 The all new and heavily redesigned alternate mode for the Megatron is actually a Mack Titan Tanker Truck which some how resembles a demented version of the Optimus Prime’s alternate mode. 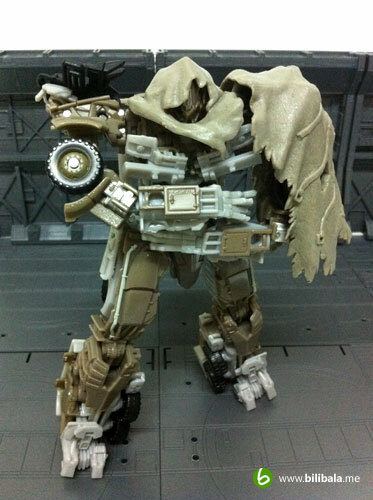 It comes with a heavily grilled front face and a tarp (which is actually the cloak for the Megatron) that covers the rear part of the tanker. 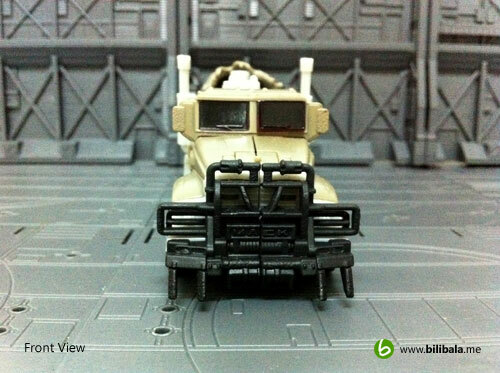 Coming to think of it, this is the very first earth vehicle mode for the Megatron in the movie trilogy and the fact it is in a truck mode, like Optimus Prime, is definitely intriguing. The overall color scheme is quite “gulf-war” alike having those dusty and rusty look and feel for the oil tanker. If Hasbro is to release a premium version of this figure, it will be very much realistic with those grey part being colored into metallic silver. In all, I especially like those sprayed color (to bring out the “rustiness” of the truck) on certain parts of the body. 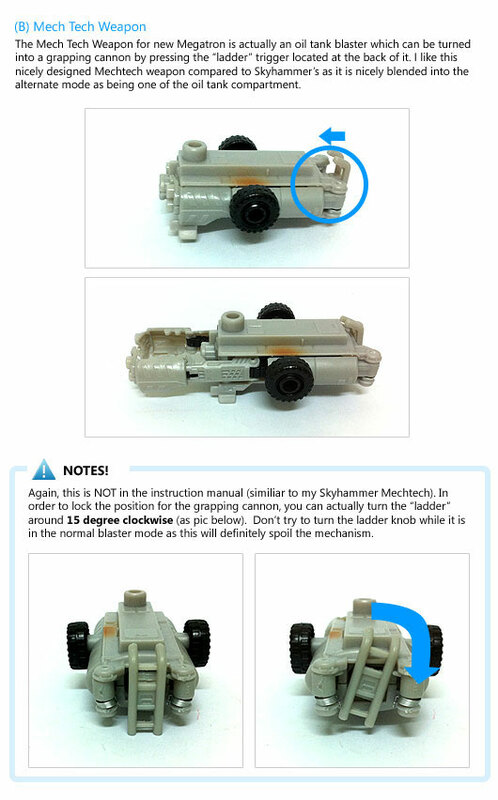 What’s really amazed me is how they conceal his Mechtech weapon nicely which you have no visibility on the BIG Mechtech which unlike the Skyhammer. For this, I will explain more on this in the later section below. Here you can see the armored front grill with those fork like “mine sweeping” mechanism. There’s a weird protruded windscreen design which i have really no idea why it is so. I found it weird first time seeing the windscreen and i thought that it is spoiled. 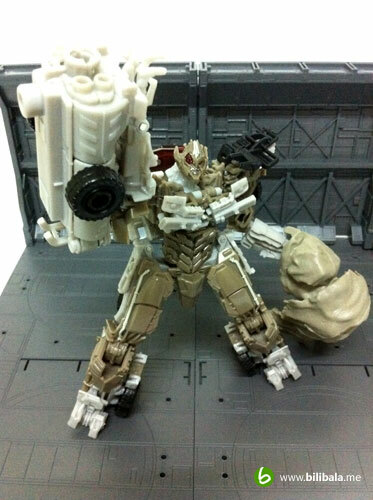 I wonder will the final official release of Megatron will have different design for it. Anyhow, I really like the red colored plastic used for the windscreen. The overall length of the truck isn’t too long since this is a voyager class. Try to think of it, if it comes in Leader class, the overall alternate mode will be huge and definitely worth eye popping for. Despite small, the amount of details are not being neglected in this form. You can see those smaller details such as the door handles, ventilation holes, some unknown mechanics at the rear of the truck, etc. You can notice how “protruding” the windscreen is here. Notice that’s a whole piece of the windscreen sticking out of the window frame. You might call it a design, but i would like to call it weird. 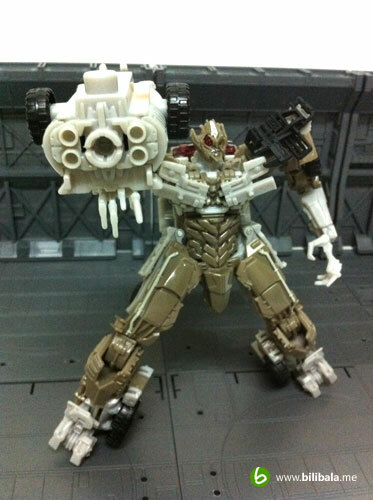 This is an entirely redesigned Megatron for the Transformers:Dark of the Moon. You wont get to see those pointy body parts as compared to 1st 2 versions (which is more to a Cybertronian mode as previously). 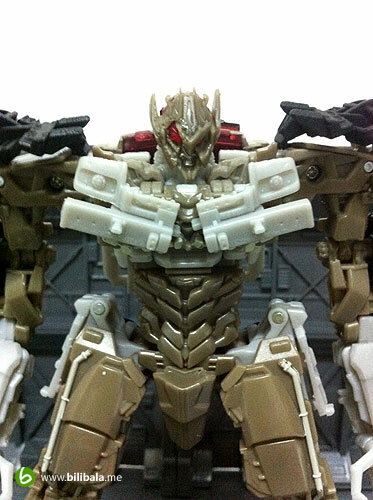 All the body parts are more streamlined and polished to reflect more earthly robot mode. 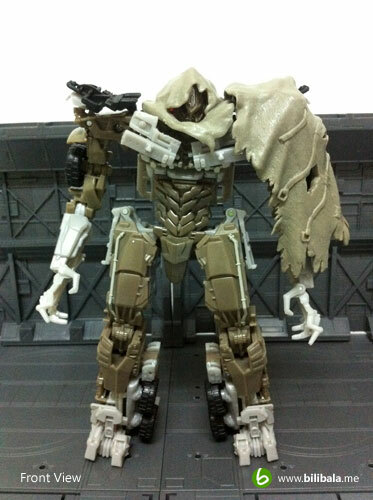 And of course, he is the first to have his face covered with a cloak which does give me an impression of a Taliban or terrorist robot mode. Interesting indeed. Anyhow, the overall figure is quite proportionately done and weight distribution is good as well. Articulations wise are quite abundant for you to experiment with fancy and confident postures. 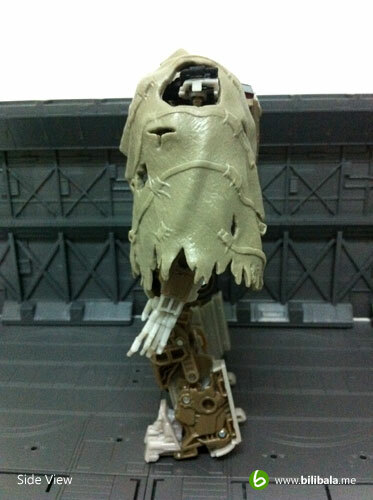 In addition, the figure comes with a chest joint which you can bend the upper body. This does add to the flexibility of posing for the figure. Again, you can see more clearly how’s the protruding windscreen is like. 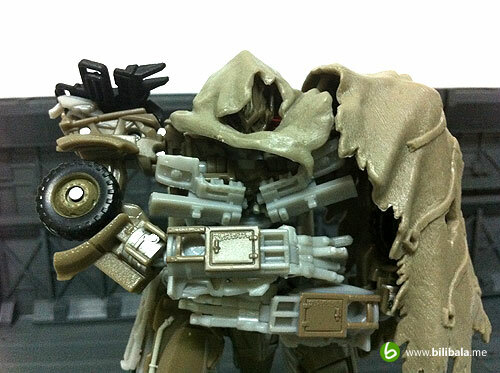 Here’s a close up with the Megatron with his face covered with the cloak. There’s actually a reason for this. Read on. Surprised! 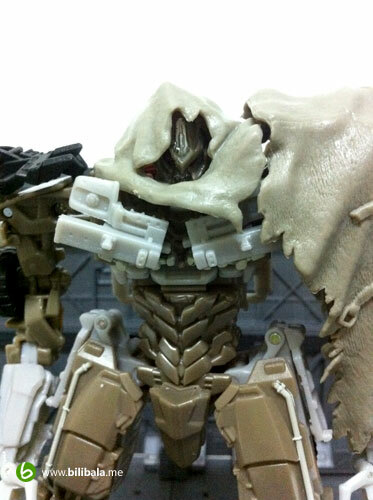 Half of the Megatron face is actually wounded and revealing an utmost ugly form of him. Much like the Two Face villain in Batman movie. I wonder what is the cause of this and i guess the movie will have explanation? Well, poor him and that’s why he need a cloak to cover the hideous face of him. Transformation process is quite intermediate and definitely involving. Not much mind boggling twist and turn and usually is quite straightforward. QC Beware! I Repeat! QC Beware! 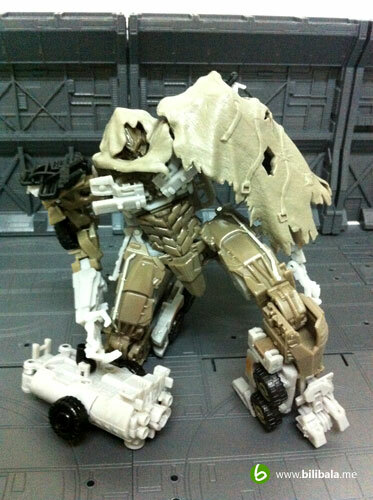 Okie, there’s a QC point i would like to stress out for future owner of Megatron of the Dark of the Moon. 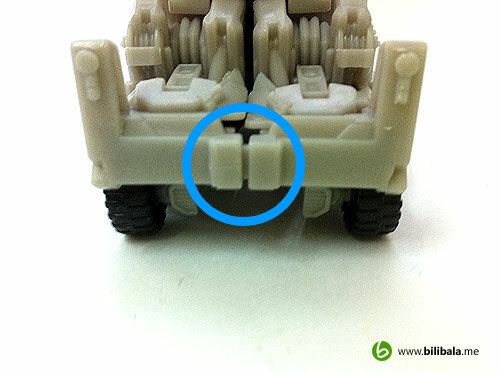 Do beware of this connection joint here as it has thinner plastic as compared to other parts. Thinner plastic which, in the end, prone to crack, especially where the connection is. This happened to mine after 4-5 transformation back and forth and i notice there’s a slight crack on the circled part. 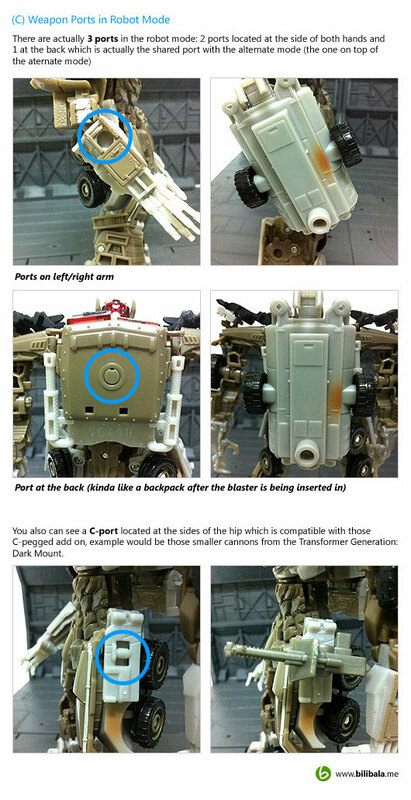 Not sure will this QC problem occurs in the final production/release of the Megatron or not, but it definitely worth watching out if you plan to own one or playing with one. Pose with style in cloak mode. I'm officially poisoned by Megs, bro (see my FB album ;)). By the way, the QC issue seems to be random on OP. The plastic on mine is still holding out (and hopefully will last long enough for a few more transformations >_<). 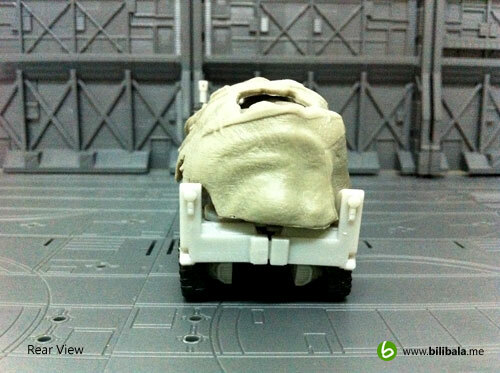 And yes, it's confirmed the official launch of Megs do have the protruding windscreen. Splendid haul mate! Well worth every single penny that you paid for him. How much did you pick him up for? Hmm, the windscreen issue seems to be a flaw. Have you checked out other reviews yet? Peaugh's video review would be a nice reference point.